The increasing popularity of smartphones in the classrooms has prompted their use as a learning tool in K-12 education. Since 2012, mobile technology has had a boom as schools started to introduce tablets and smartphones as devices for information and education. Although Schoolbox has a responsive design, we recognised that we could provide our users with much more value by producing a native education school app that would allow users to access the system on a device they’re familiar with using. This prompted our partnership with Digistorm, as we saw them as a leader in the K-12 schools ecosystem. 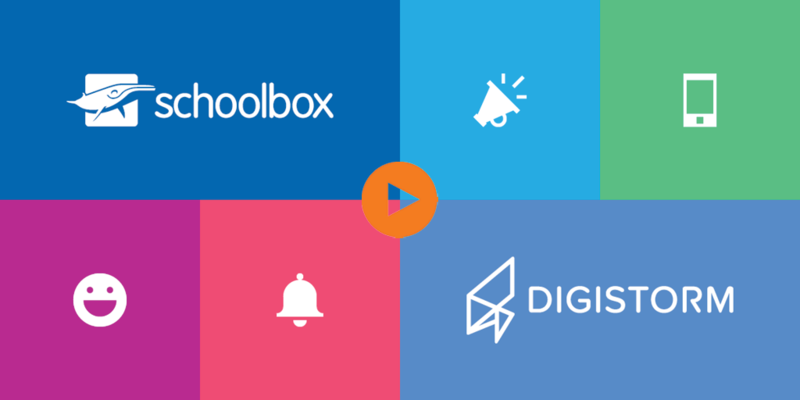 We’ve worked hard with Digistorm to provide schools with an easy-to-use, intuitive eduAPP that will give users instant, up-to-date notifications and the ability to access information on the go. Our partnership with Digistorm kicked off in 2014. We realised that in order to deliver the best school app for our users, we would have to engage with experts in the space. Our shared mission and values meant that the app would continue to be improved over time and deliver industry-leading innovation and development. This also ensured that we didn’t dilute our focus — by partnering with Digistorm, we could keep improving our platform and ensure the app development was in capable hands. This is where the true strength of our partnership lies. 2015 saw the launch of our eduAPP, which is now being used by more than 90 schools. Since its inception, there have been 300,000 downloads and 4 major update releases — it’s one of our most successful partnerships to date. One of the most handy aspects of this integration is the ability to set your settings and configure how and when you want to receive notifications. For example, you can choose to be notified when news are posted from any groups you might be a member of, or when your child receives a grade, or a pastoral note, and so on. Under the Schoolbox Message Settings, users can individually adjust the way they are notified, as long as the school hasn’t chosen to force push notifications for that particular module. Users can choose to mute or unmute notifications from certain groups, and even choose how they receive them, whether that’s through the school app or email, and so on. Schoolbox is Mobile-Friendly — Why Do I Need an App? An improved user experience: Not having to re-authenticate every time you access your instance. This also provides additional security touches, such as a touch ID. Mobile-first development: We are able to identify what each user wants to see on-the-go on their device, and present that on a customer-centric interface, based on those needs. Push notifications: Actively engage your community and ensure they’re reading their notifications, instead of posting information and hoping that users see it. Notifications are sent based on a user’s role and group, so the content is always targeted and relevant. Push notifications also give users instant access to crucial, mobile-first content and wrap that into an easy-to-understand dashboard. One-stop-shop: Other platforms that school’s rely on can be accessed from the one interface. Custom design: Schools are able to have the app represent their branding. This familiarity with the platform ensures the school app will be regularly used. Our focus is always to improve and support communication between the two companies and our respective teams. If you would like to find out more about our school app and integration with Digistorm, then get in touch with us today.